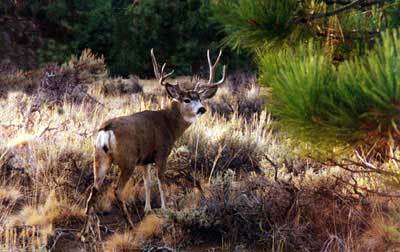 Can you imagine coming around a pine tree and seeing this buck on opening morning. We are not sure that "Oh, Boy!" would really describe what your reaction might be, but it's a start. Thanks to Bob Edwards for sharing this photo with us.